Japanese techno music casually bumps overhead, anime-inspired collages decorate the space above the bar and steam rises from rich bowls of broth at each table — this is Ramen Kid. Since opening shop in mid-January, Ramen Kid at 461 Gilman St. expands the currently short list of Japanese restaurants in Madison. Catering to hungry college student appetites, Ramen Kid benefits from its on-campus locale along with its mighty portions for agreeable prices. Aside from the initial confusion of whether to seat yourself or wait to be seated, the Ramen Kid staff is otherwise attentive. The kinks in service are only to be expected in a restaurant’s infancy. Though the space is rather small, Ramen Kid manages to pack in an impressive number of seats to accommodate the swarms that flock for ramen, day and night. The restaurant scarcely separates tables, which mirrors the layout typical of trendy, more cosmopolitan restaurants. 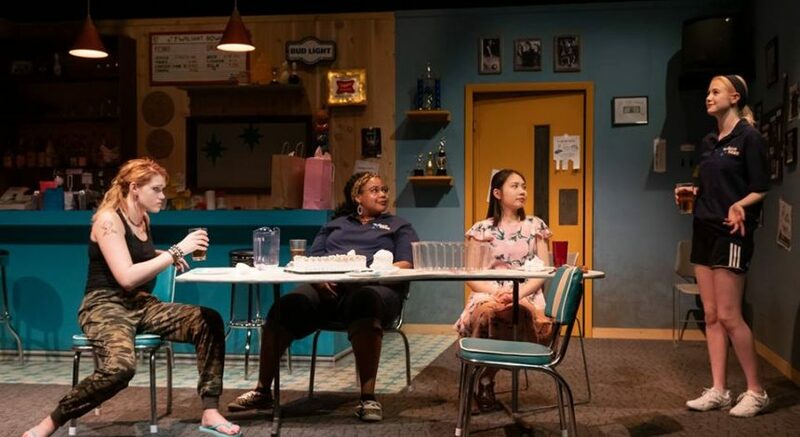 The closeness also facilitates close interaction with neighboring diners (or not) and the chance to proactively determine which dishes to order. Reed Wallach, a University of Wisconsin freshman, is new to the Ramen Kid craze, but weighed in on his recommendations from a table away. Ramen Kid offers a refined menu of primarily ramen, as well as select appetizers and rice dishes. The menu lists seven varieties of ramen, and the main difference between them rests with the broth. Though the tonkotsu ramen is likely the most popular option, the shoyu ramen is another warming choice. The shoyu consists of a soy sauce soup base that welcomes the classic additions featured in most Ramen Kid bowls — marinated boiled egg, green onion, bamboo shoots and pork chashu. The shoyu broth is especially savory and rich. The pork is tender and, like the remaining vegetables, soaks up the flavor of the broth. The staff offers Sriracha for an extra heat element, but the flavors are strong without it. Though the ramen broths at Ramen Kid are satisfying and ideal for brisk nights, the ramen noodles are unfortunately dull and quite reminiscent of a typical pack of instant ramen. Accentuating the subpar quality, the amount of noodles per ramen bowl is even too generous. By the time the broth and additions have been lapped up, a mass of sticky noodles will remain towering in the bowl. While the noodles aren’t at an ideal level of freshness, the broth is filling on its own, and the vegetable additions complement it well by soaking up its salty flavor. Broth analysis aside, Ramen Kid certainly adds to a limited field in terms of ramen options in the city. The restaurant, however, does face more well-established ramen bowl competition, like Tory Miller’s Asian fusion restaurant, Sujeo, and the Williamson Street neighborhood’s beloved Umami. 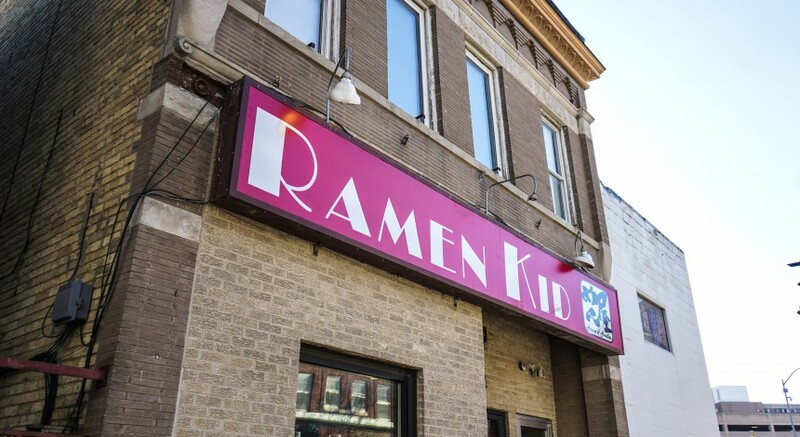 Though newest to the scene, Ramen Kid holds the edge as far as location and value for the college crowd. It’s now up to the avid diner to set forth, slurp ramen and choose their winner.